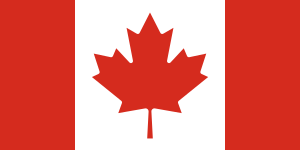 ^ CANSIM – 051-0005 – Estimates of population, Canada, provinces and territories. Statistics Canada. 2016 [January 29, 2017]. ^ 2.00 2.01 2.02 2.03 2.04 2.05 2.06 2.07 2.08 2.09 2.10 2.11 2.12 2.13 2.14 2.15 2.16 2.17 2.18 2.19 2.20 2.21 2.22 Distribution of Canadians Abroad. Asia Pacific Foundation of Canada. 2010 [2010-07-12]. （原始内容 (Requires selection of location for data)存档于2010-04-29）. ^ Statistics of Mexico (PDF). 2010 [2011-09-06]. （原始内容 (PDF)存档于2011-11-15）. ^ Tables on the population in Sweden 2008 (PDF). Statistics of Sweden. 2008 [2010-07-01]. ^ 2016年人口普查人口和住宅数量简表. 加拿大统计局. 2017 . ^ 人口普查：多伦多，蒙特利尔，温哥华现在拥有三分之一的加拿大人口. CTV新闻. 2017 .